Boehm's statue of Lawrence, Waterloo Place. Photograph and text by Jaqueline Banerjee. 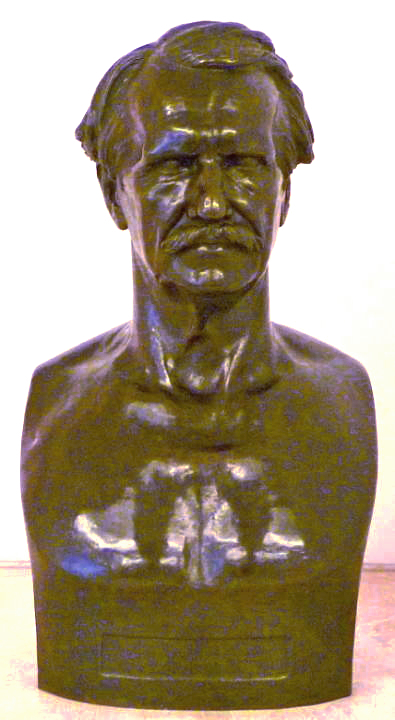 Woolner's undraped portrait bust looks as characterful, forceful and vigorous as its subject, exemplifying this sculptor's "strong naturalistic portraits" (Ward-Jackson 485). This bronze version is far more striking than the better-known marble one in Westminster Abbey. Woolner had modelled two busts of Lord Lawrence in 1871. 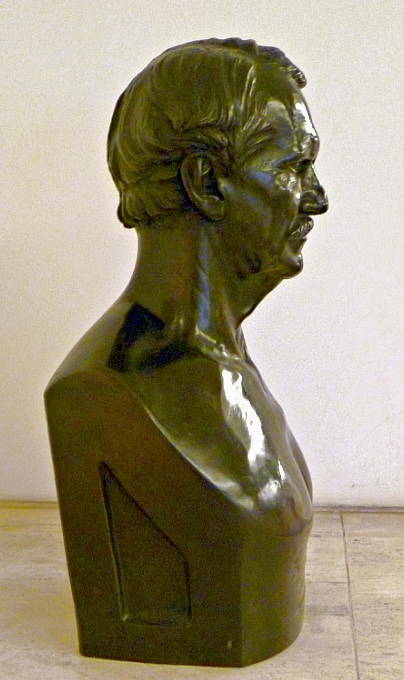 This is a copy of the undraped bust, one of several such works by various sculptors that arrived in the British Library by way of the old India Office. The other, draped bust was carved in marble in 1886, and this is the one that went to Westminster Abbey. Another marble version of the draped one can be seen in the National Portrait Gallery, as shown here. "India Office Select Materials" (opening page, British Library site). Viewed 18 August 2010.